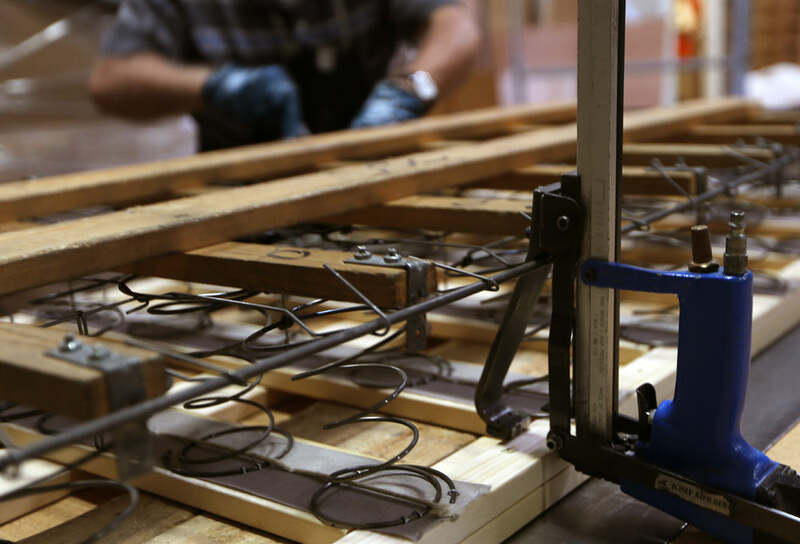 At McRoskey, every mattress is built to our exacting specifications. It’s our way to be sure that you’ll sleep well every night. McRoskey Mattress Company delivers unsurpassed craftsmanship, straightforward pricing, simple comfort choices, personalized customer service, and a ten year warranty promising the best night’s sleep every night for years to come. We celebrate craftsmanship with an eye for detail because we know the result is superior comfort that lasts. Layer upon layer of buoyant filling materials envelop the McRoskey coil system, creating a resilient comfort that ensures you'll sleep soundly night after night for years to come. 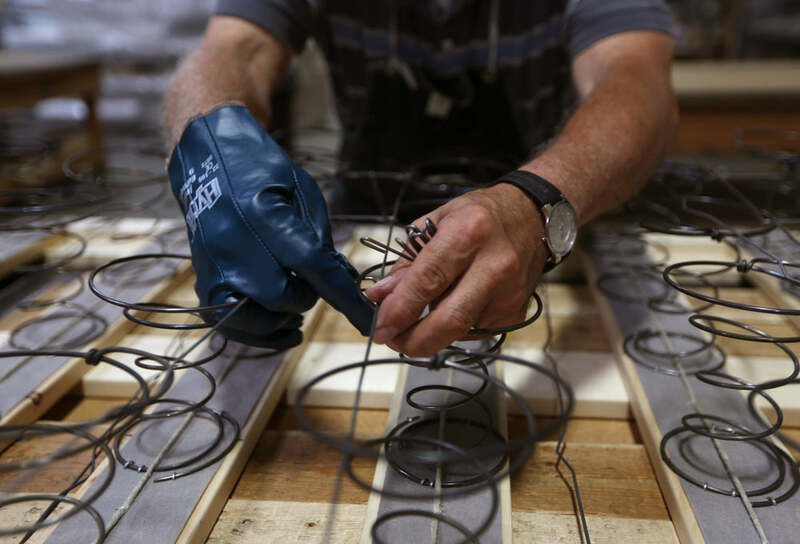 Engineered for unrivaled durability, spring steel wire is shaped into coils that are laced, framed and heat treated. The McRoskey mattress and box spring coil systems are engineered to provide the perfect balance between support and give for maximum comfort. Brass eyelets and vents built into the sidewalls of our mattresses and box springs mean you and your bed breathe freely. The process, unique to McRoskey, is called airletting. You sleep cooler, and the materials inside your mattress and box spring stay fresh longer. The material on the outside is as important as what’s inside. Our woven, all-cotton, American made ticking is the strongest and most durable fabric we could find. It’s also the best material for wicking away moisture and ensuring breathability, contributing to cool, restful sleep. Our ticking is tested to withstand the rigors of construction as well as everyday use. Each fabric panel is hemmed, adding strength to every seam. 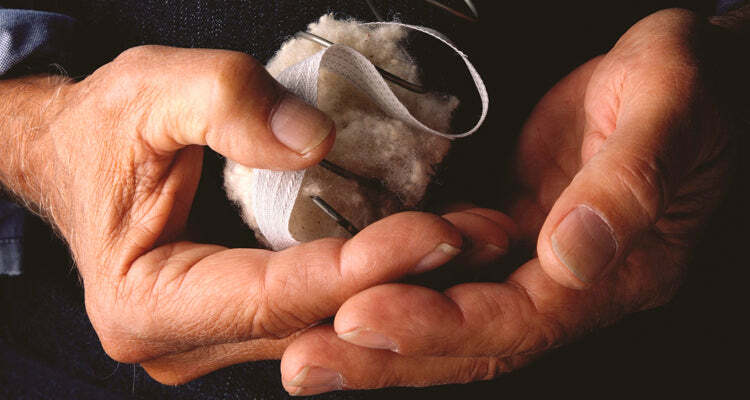 Tufting is a tried, true and traditional way of mattress making where tufts, made of a woven tape material, are driven all the way through the mattress at regular intervals. 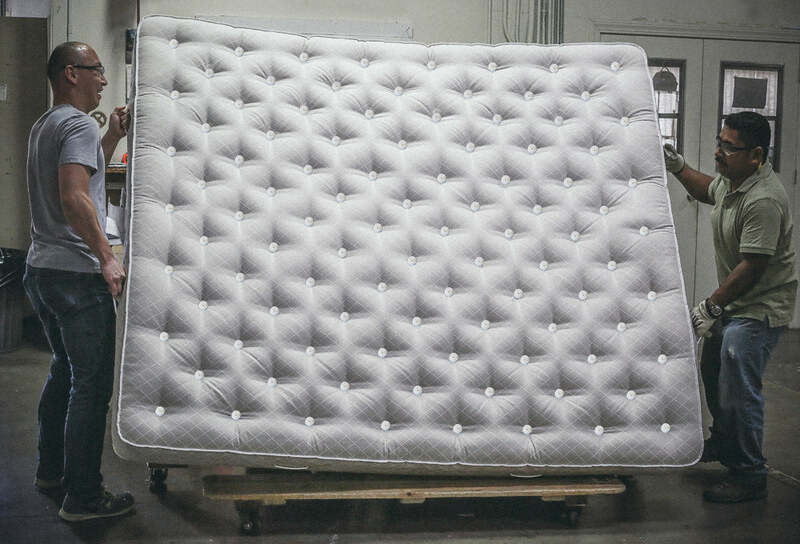 This technique aligns and holds in place the many layers of filling materials with the steel spring coil system, resulting in a precisely cushioned, supremely comfortable sleep surface. While the industry in general has abandoned traditional box springs, McRoskey hasn't. A coil mounted box spring is fundamental to enduring comfort - that’s why we sell the most resilient one on the market. Heavy-duty steel upholstery coils affixed to a sturdy wood slat frame absorb pressure, add responsiveness and dramatically extend the comfort of your bed. Our traditionally made, two-sided mattresses last years longer than today's one-sided mattresses. This is because people can flip and rotate their mattresses, spreading wear evenly across all of the sleep surfaces.